Check out this killer sandwich I just made. Just your classic ham and cheese, no biggie there. But take a close look at the bread. It looks legit, right? Crusty on the outside and chewy on the inside. Well. This bread only has 4 grams of carb per slice. True. I made it using a low carb seed cracker that Trader Joe makes called Whole Grain Crispbread. I ground the crackers into meal and then used it to make a bread dough. I guess you could call this a Trader Joe Hack, although I have mixed feelings about using the word “hack” to describe something so delicious. But let’s just roll with it for now. Here’s how to hack yourself some low carb bread. This recipe for low carb Psyllium Husk Bread uses Trader Joe’s Whole Grain Crispbreads as flour. 1. Preheat oven to 350 degrees F and grease a loaf pan. 2. 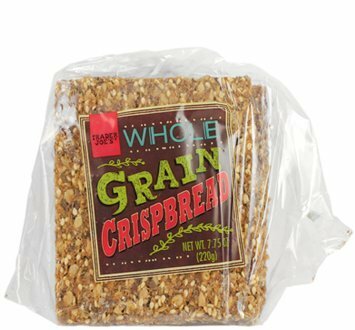 Grind 4 Trader Joe’s Whole Grain Crispbreads in a food processor or professional blender to make 3/4 cup. It should be the consistency of flour. 3. In a large bowl, mix the ground crispbread, coconut flour, psyllium husk powder, baking powder, sweetener and salt. 4. Stir in egg whites, oil and apple cider vinegar with an electric mixer. 5. Slowly pour hot water over the dough, stirring until the dough expands. 6. Add the dough to the loaf pan. 7. Bake 50 to 60 minutes, until well browned and quite firm to the touch. 8. Let cool in the pan. The bread is good but has kind of a weird aftertaste. What am I tasting? 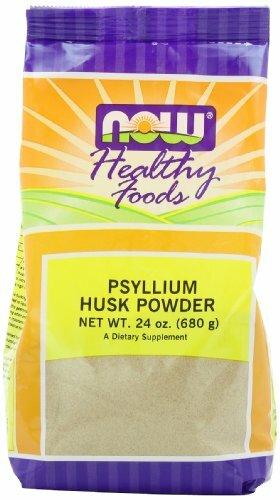 It’s the psyllium husk powder. It’s not for everyone. It’s what gives the bread it’s springy texture, so it really does need to be in the recipe. How many slices should you make to ensure 4 carbs per slice? I would like to try this. Neat idea. Are the egg yolks used?